Did you know that the GRCC Library retains 3 months of issues for several major local, national & even international newspapers? The issues are available for browsing on the second floor of the library, with the most current issues displayed on a spinner and the other issues shelved at the front of the periodicals area. 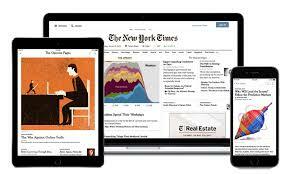 Here you can pick up & check out current events in the New York Times, the Wall Street Journal or the german paper – the Frankfurter Allgemeine Sonntagszeitung. Click on the titles below, in the full list of newspapers currently received, to view which issues have been received and are available – for a few of the titles the library also provides online access to articles, for students, staff & faculty. Come in today and take a look at these titles and more – stay up to date on what’s going on in society & the world!